Normally, I use avocados in savoury dishes (usually salads or on a sandwich.) My all time favourite way to eat avocado is on toast with almond butter, sunflower seeds, sprouts, and cucumber. Maybe a bit weird and pretty high in fat, but so so good. P.S avocado fat is good for you. At least that’s what I keep telling myself to justify eating so much of it. 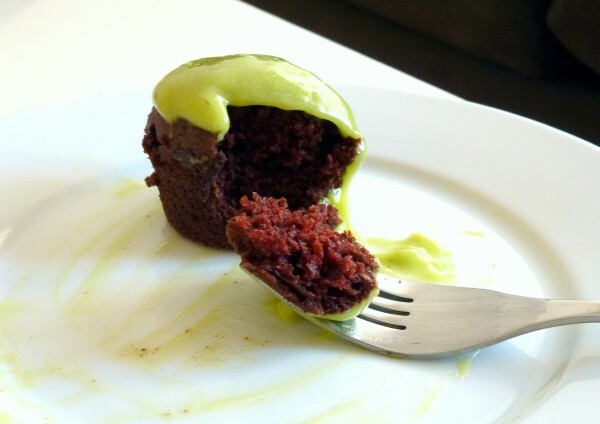 So as an avocado addict, it was only natural for me to be very intrigued by this chocolate avocado cake recipe I stumbled across when searching for vegan recipes. This recipe happened to be on one of my favourite blogs (Joy the Baker… she is awesome!) so I knew it would be good. Plus, avocado has such a nice buttery flavour, why not use it to make a buttercream too? The original cake recipe is from Eat, write, think. I made a few slight modifications because I really have problems when it comes to following a recipe. 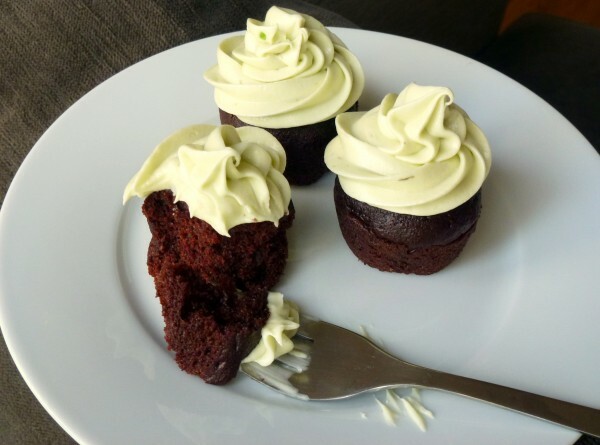 I also ended up creating a vegan avocado cream cheese icing for these, which I liked a bit better than the avocado buttercream. This is because my cream cheese love is also right up there with my avocado love. And vegan cream cheese? Surprisingly tasty! Grease the sides of two 9-inch cake tins, three 8-inch cake tins, and line bottoms with parchment paper or line muffin tins with cupcake papers. Beat avocado with hand mixer until as smooth as possible. Cream together avocado, oil, vanilla, and sugar. Sift together flour, salt, baking soda, and baking powder. Set aside. Whisk vinegar into soy milk and set aside. Dissolve cocoa powder in water and pour into avocado mixture. Add sifted ingredients and soy milk into bowl and mix until just combined. Transfer batter to cake tins. Allow to cool 10 minutes in cake tin and then transfer to wire rack to cool completely. Once cool, frost with icing of your choice. An avocado cake goes nicely with an avocado buttercream, as seen here. I actually preferred going the creamier route with my vegan avocado cream cheese icing. The choice is yours! I ended up halving this recipe. This is probably a good idea, especially if the idea of avocado buttercream is a little scary. It is understandable to be a bit weirded out by this icing, but let me assure you that even though it is odd, it goes really nicely with this cake. Beat avocado and lemon juice until smooth and lighter in colour, approx. 2-3 minutes. Add in vanilla extract and gradually mix in icing sugar. Store icing in an airtight container in fridge. It won’t go brown! Why does avocado go brown anyway? The short answer is, because it is exposed to air. Avocados, as well as other plants, have molecules that have parts called phenol groups, which are oxidized by an enzyme in the fruit called polyphenol oxidase. When these molecules are oxidized, this turns the avocado brown. The same thing happens with apples, bananas, and other fruits. You could prevent this browning effect by not allowing the avocado to be exposed to air. But if you do that, have fun trying to make this icing. Luckily, there is a trick! You’ve probably already heard that lemon juice will help with the browning issue. This works because the acidity of the lemon juice will deactivate the polyphenol oxidase enzyme. Also, the vitamin C found in lemon juice will oxidize more readily than the phenolic compounds in the fruit, which means no browning! Now go make this incredibly delicious cake. And good luck eating just one piece.